Economically priced, rich with features. The Econo Ultrasound Table is designed on the same platform as the Ultra Pro with similar features and functions. To make it a more cost-effective alternative it is offered without Trendelenburg positioning or central floor-locking system. The same ergonomics have been incorporated into the design of the Econo Ultrasound Table, making it easy for a sonographer to achieve quality images without discomfort to the patient or sonographer. 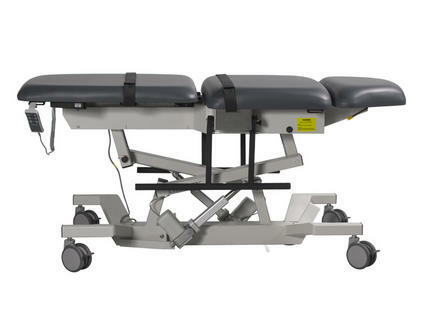 Motorized height and Fowler positioning which accommodates natural body extension and sitting position, a height range as low as 23" to allow wheelchair transfers and a hand controller are just some of the features that make the imaging experience easy with the Econo Ultrasound Table. The Econo Table can be customized to suit your department needs with an assortment of table options. 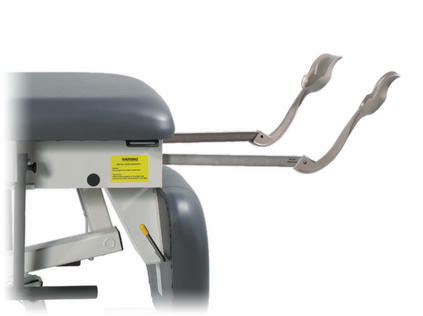 Flush-mounted side rails enable closer patient access without sonographer contortion. An articulating scanning arm board, adjustable from 0-130 degrees and a headrest that drops down 15 degrees to allow for carotid studies are just some of the items which can be added to the table. *Requires optional vascular arm board. 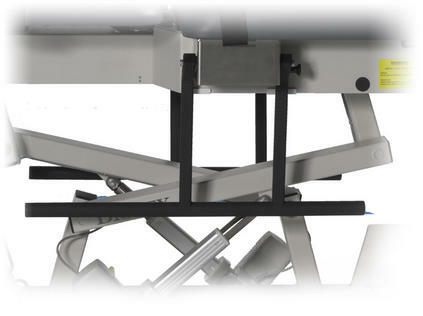 All motorized tables are ETL product listed to the UL 60601-1 Medical Electrical Equipment Safety Standard. Paper Dispenser accommodates a roll of hygienic table paper. Includes a cutter strap. No. 601.1-M90 and EN 60601-1 standards. *Note: Options are installed by the customer. February 17, 2015, Shirley, NY – Biodex is pleased to announce it will be participating in the 2015 European Congress of Radiology. Serving the medical profession for more than 60 years, Biodex manufactures and distributes devices for nuclear medicine, molecular imaging, and medical imaging applications.